A train is loaded with coal at a mine in Wyoming’s Powder River Basin. In recent years crowdfunding — raising money for a project from a number of small donors, usually online — has become a popular way to raise capital for business start-ups and artistic endeavors. Now scientists are also turning to this method to help pay for critical research. Jaffe’s study is specifically related to plans to build large coal-export terminals around the Pacific Northwest — plans that have become a lightning rod for controversy because of potential public health risks. 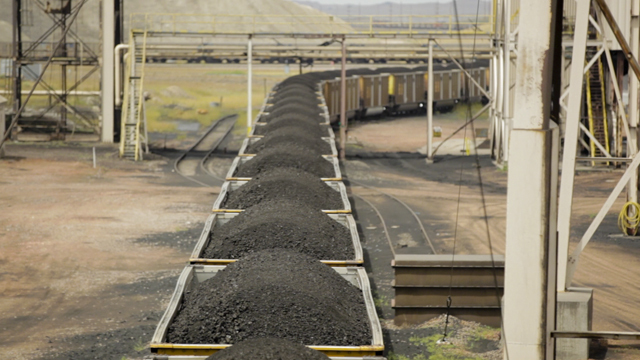 The facilities would ship coal from Wyoming’s Powder River Basin to lucrative markets in Asia. But to get the coal from Wyoming to export terminals in Washington and Oregon, the coal would have to be moved by open-topped rail cars. Between 18 and 37 coal trains a day would rumble across the West, passing through population centers like Seattle and Portland. The public has expressed concern about the clouds of coal dust and other pollutants that these coal trains might leave in their wake. But when Jaffe looked into it he found almost no research on the topic. 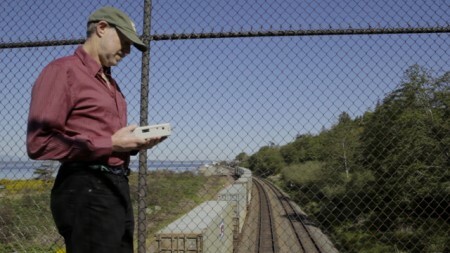 The money allowed Jaffe and a team of undergraduates to set up air-quality monitoring devices near rail lines around Seattle and the Columbia River Gorge. Over the course of five weeks the team measured emissions from roughly 500 passing freight, coal, and passenger trains. The results were surprising: diesel emissions appeared to have a significant impact on air quality while coal dust emissions did not. Jaffe and his team found diesel emissions coming from passing trains to be about 25 percent higher than the Environmental Protection Agency’s estimates. “No matter how you slice it, if you’re living right along the tracks your exposure to diesel particulate is significant. 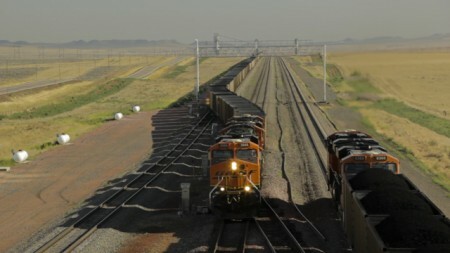 And if you add even more coal trains to the mix, that’s going to go up significantly,” Jaffe said. “For these homes in north Seattle that are right along the tracks, their exposure is comparable to if they lived in the most industrial part of Seattle.” Conversely, there did not appear to be much coal dust in the air near the rail lines Jaffe studied. “That seems to be a non-issue,” Jaffe said.